Following from last week's episode, In Ha rushes to the roof to ask Dal Po if he's by any chance Ki Ha Myung. His eyes widen in shock as he asks her how she knew. 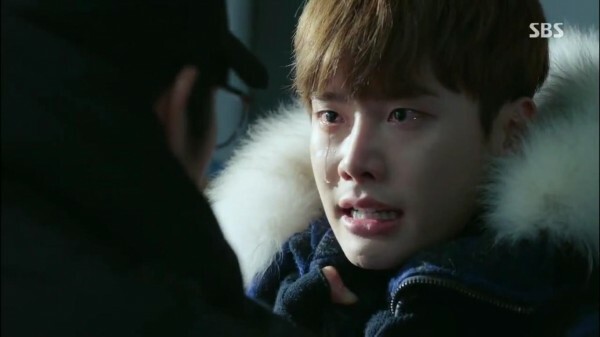 In Ha sinks to the floor in sobs and in Dal Po voiceover, he says that In Ha keeps apologising for an hour. And he keeps telling her that he's okay. She stands up and wipes her face, "Dal Po, tell me. Tell me your whole story." 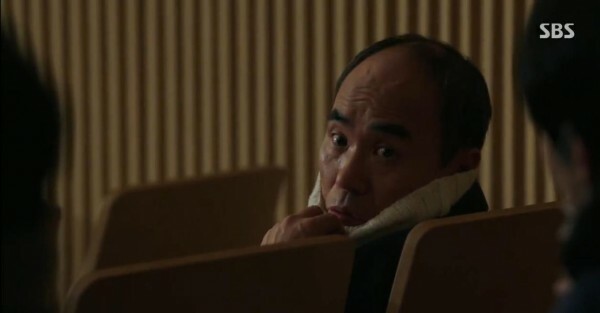 In Ha listens to his story in a mix of anger and tears, and at the end of it all, she comments that Dal Po must have hated her. He admits that he does at times but kids that he can't stand the sight of her. She nods to herself and says that she will leave if he doesn't want to see her. "I'l quit being a reporter if you don't want –"
Dal Po grabs her face and says worriedly that she's the ugliest when she cries, and that he's gonna freeze to death if he has to console her anymore. This ironic statement is so sweet because Dal Po is the one who is the "victim" of the incident and yet he's consoling someone else. 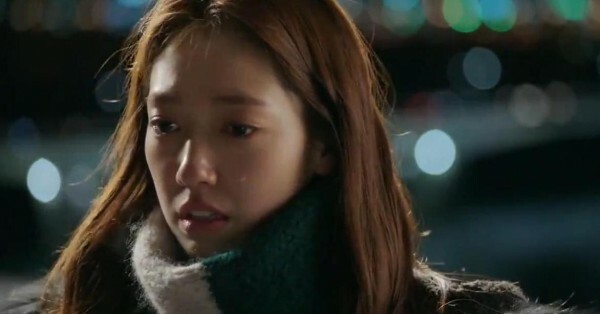 He wraps his scarf around In Ha and tells her that he really hated her mother and her when he was Ki Ha Myung. 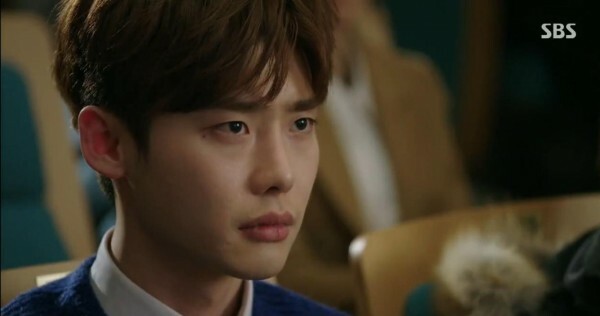 He was determined to leave once his father regained his memories, but now he's Choi Dal Po and he has no intentions of abandoning that name in the future. In Ha smiles and proceeds to ask a question but stops herself. Dal Po pushes her on it and she hiccups when she says it's okay. So she confesses her urge to know why Dal Po isn't finding his brother. 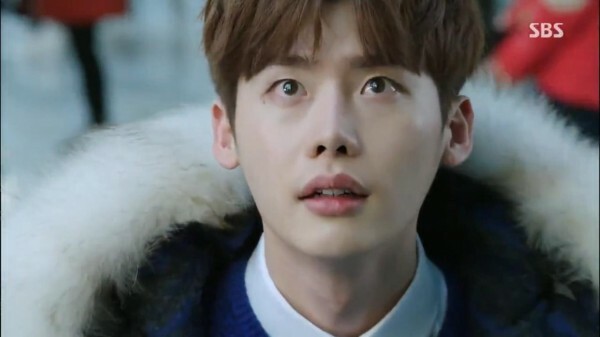 Dal Po asks if she can keep a secret and she hurriedly tells him that a Pinocchio cannot keep a secret, "So don't tell me." 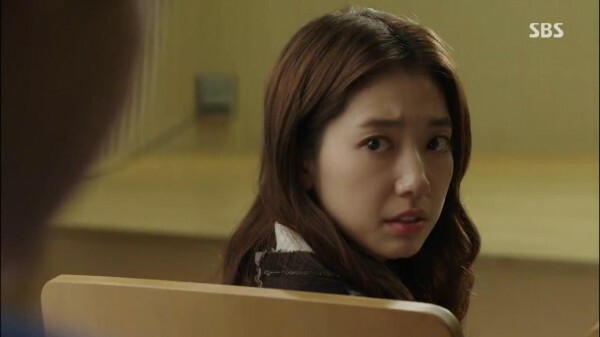 They return back to the flat but In Ha says that she wants to leave straight for the police station since her grandfather and father will ask her questions if they see her face. And she can't lie to them. Dal Po takes her bag and tells her to come into the apartment five minutes after him. She does and the moment she sits down at the table, her father tells her, "Eat up and I won't ask you any questions." She is taken aback, "Oh? Oh…"
Dal Po comments on the newly-bought tv and we have a moment of product placement (?) as the grandfather reads out the specs of the television. It's really funny hahahah as Dal Po asks him where he finds the money to buy a new tv and he wails as he realises that his grandfather has yet again spliced open another piggy bank, "My poor Yook Soon ah~~~"
The couple leaves the apartment and In Ha asks repeatedly what he said to her father and grandfather to make them stop asking questions. Dal Po admits that he told them that In Ha is having her time of the month and that asking questions would only cause trouble. HEHE. Dal Po sticks out his hand and In Ha takes it. Her father happens to throw rubbish at the same time and he is all scandalised, "Why is that jerk sticking her hand in his pocket??" Dal Po returns to YGN and Cap(shortform of Captain) asks him if he has returned the tie clip. He offers to return it for Dal Po but Dal Po holds Cap's hands tightly as he reaches out for the tie clip. Cap knows that something is wrong, so he grabs the tie clip and Dal Po rushes after him. Back at MSC, Bum Joo praises Manager Sung for managing to get the ratings so high up but In Ha is unimpressed. Just then, the lift open its doors and it's Manager Sung and Joo Ho. In Ha refuses to get into the lift and Bum Joo gets out of the lift to wait with her for the next one. Jae Myung pops up from a wall behind her and looks on ominously. Manager Sung recalls how In Ha rushed off and asks what Joo Ho has said to In Ha the previous day. Joo Ho confesses that he told In Ha about everything that happened 13 years ago because he thought she would listen to her daughter and not go for the lecture. Cap listens to the recording and Dal Po asks if they can just bury this. Since the nation believes that his brother is a hero, there's nothing wrong with burying that. The tie clip only holds a recording of a suspicion and nothing else. Cap hands the tie clip back to Dal Po but states clearly that burying the truth won't make it go away and that as a reporter, Dal Po has to keep his eyes open and observe. In Ha's dad recalls all the times when he tries to ask about Dal Po's family background, because that is the main factor why he doesn't want Dal Po to be with In Ha. He feels that something isn't quite right and asks his father what he should do if a family member is keeping a secret but won't tell him. His father happily hands over the money that he has taken from his son's wallet and laughs, "How did you know?" Yoo Rae is back to her snooping and she motions for Dal Po to join her. They listen in to Chan Soo presenting his case on Ki Jae Myung to his supervisor and how he is going to dig into Ki Jae Myung. Yoo Rae tells Dal Po that she knows Cap passed Jae Myung's number to him, so what's his relationship with Ki Jae Myung? 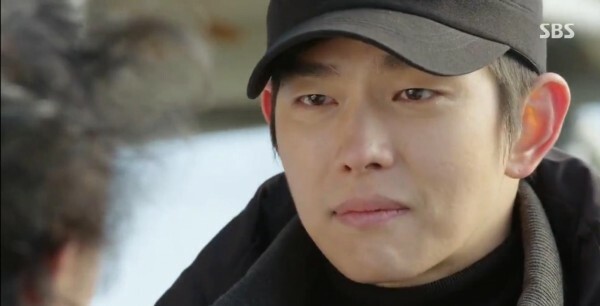 Dal Po denies any relationship and Yoo Rae offers to have dinner with him if he tells her. HAHA. She steps up on the game and offers to take a photo with Dal Po if he tells her, but Dal Po pushes her away and worries about the truth coming out. In Ha and Bum Joo are tasked to sit at the tip call section and answer calls, but all they have received the entire day are prank calls or demands for apologies. Manager Sung comments that then they have received nothing for the entire day. This irks In Ha and she stands up, "Do you always disregard demands for apologies?" She brings up the incident from 13 years ago but Manger Sung repeats the line where she apologised on national tv on behalf of MSC tv. In Ha comments that the apology sounded insincere and Manager Sung asks what she has done that is so wrong. "I didn't ask out of my curiosity. It was because the entire nation wanted to know, so I asked on their behalf! Why would I have to apologise for that?" In Ha 0 Mum 1. In Ha sits down in a fluster, "I fall way too short from her verbal skills." Bum Joo's mother passes Bum Joo some phones that will supposedly help in reconcilling the relationship between In Ha and her mother. Bum Joo admits that he feels like he owes In Ha a huge debt. If her messages have gone to the right person, then perhaps their relationship won't be so bad. His mother is glad that he's just doing this to repay the debt, because if her son does like In Ha, then he will be suffering from heartache. Bum Joo confesses that he's suffering from some heartache, and that his competition is really strong. His mother is indignant because Dal Po is a skinny guy who has no great education and all that, but Bum Joo sighs that he can make In Ha laugh and cry, and that's why he's strong competition. In Ha's father is sweeping the leaves outside of the office when he observes to his alarm, the 'Badger Lady' aka Bum Joo's mother walking towards him. In the office, Bum Joo's mother gets straight to the point and tells In Ha's father that her son likes his daughter. She asks if he knows and he replies that he isn't aware. 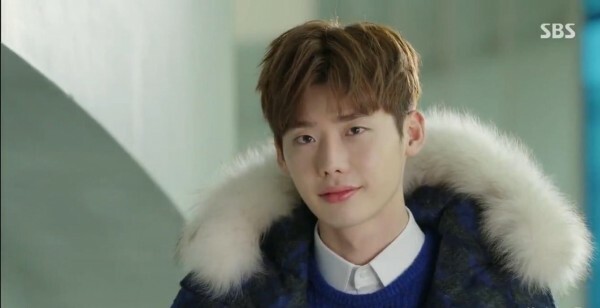 Bum Joo's mother throws a cup of water towards him and asks crudely if it's his scheme to use his daughter as a gold-digger and seduce her son. She throws a stack of money towards him and tells him to get lost. It turns out that this was just in his imagination and he is brought back to reality as Bum Joo's mother calls his name. She brings the cup up and he answers nervously that he will talk to In Ha himself and make sure that she doesn't go near her son. She whines that that won't do and that she has come to ask him to look favourably upon her son. "Can you talk about my son to your daughter? Please?" I LOVE this scene. In just a short scene, they manage to diss the premise of ten thousand other dramas where the rich mother or father disses the girl for being poor with no background and shows us just how lovely a doting mother can be. I LOVE IT. Haha. In Ha's father is so happy at striking it lucky for having a son-in-law that is the heir to departmental stores, and he quickly calls In Ha to make sure that she doesn't like Dal Po. But In Ha takes a look at Dal Po and confirms that she likes Dal Po as a man. The call ends abruptly and Dal Po receives a message from her dad for a meet-up the next day. 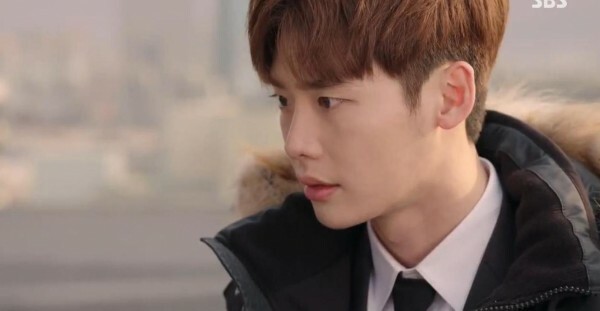 In Ha says that she will talk to her father, but Dal Po pulls her in and says firmly that he will meet her father and explain things to him, so she doesn't need to worry. The scene jumps to In Ha's dad wolfing down a cold dessert because his insides are burning. He asks Dal Po for his family background again and says that he will reconsider if Dal Po can tell him. So Dal Po cooks up a lie about how his father was a civil servant and his mother was a stay-home mum. He had no siblings and didn't want to tell In Ha's dad the truth because then he would send him to live with his relatives. His father looks like he has a bad case of stomachache as he tells Dal Po that he really shouldn't be comparing but he has given up on a really good deal. Dal Po thanks him and he tells Dal Po that he's just considering, he isn't giving his permission…but we all know that's the Dad giving permission. In voiceover, Dal Po narrates The reward for remaining silent about the truth of my brother was sweet. My brother still remained a hero and I was happy too. But that happiness was starting to come to an end without me realising it. The YGN crew arrives at a restaurant only to find out that their reservation has been double-booked. They have no choice but to eat in the dining hall with the MSC crew who boasts out loud about their new ratings. Manager Sung jokes that the secret to the high ratings is because of her beautiful looks and Director Lee nods that the anchor on their team does have nice visuals. Cap and Hyun Kuk stand up in protest about how they believe that Director Lee is the finest example of a news anchor. The team stands up to toast to that but Director Lee comments wryly, "Sit down. You guys are just killing me all over again." then I have nothing to learn from them." Director Lee nods in awe at this rant and makes a toast. The MSC crew hypes up the mood again by calling for more beef but the YGN crew humbly asks for pork belly instead. It's the lecture day and Dal Po gets ready for it. I love the small scenes such as this where In Ha wets her hands to smooth out Dal Po's curls. It's not cliche and it's quite a realistic portrayal of affections. In Ha tells Dal Po to not hold himself back and just argue with her mum if he wants to, but he says that he has already said what he wanted to say during the YGN debate session. In Ha notes sobrely that seeing her must make Dal Po annoyed and angry. He pulls her cheeks into a smile, "Rather than being annoyed and angry, seeing you makes me smile." Jae Myung passes his dog to the Ahjusshi and replies ominously that he's going somewhere very far away. Joo Ho and Bum Joo get into the same lift and Joo Ho recalls how Bum Joo pulls Manager Sung out of the lift the other day. 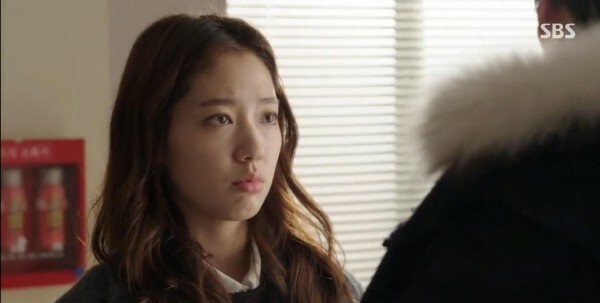 He asks if he wants to protect Manager Sung and make her happy, much to Bum Joo's confusion. 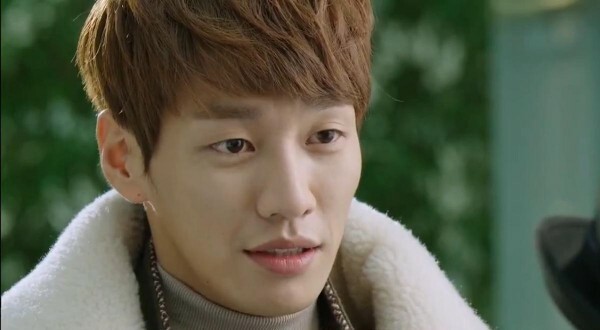 But Joo Ho confesses that he has a bad feeling about Jae Myung and that he wants to tail him the entire day….but he can't drive. Bum Joo brings Joo Ho to his garage and comments naturally that they are all his cars because his mother's are in another garage. Hahaha. Can such a down to earth and nice chaebol really exist? They stake out the house and Bum Joo comments that technically speaking, it's them who have turned Jae Myung into a hero and that the senior's suspicion is dangerous. Joo Ho replies that it's even more dangerous to judge a person based on only a 10 minute snapshot of his or her life. That's really deep and it applies not only in reporting, but in our daily lives. How many times have we judged a person, whether good or bad, based on rumours or a short snapshot of that person? Dal Po notices In Ha waiting in a corner and smiles as he walks towards her. Manager Sung coincidentally appears in front of him and asks him if he's really going to bark at her like a wolf now that he's a reporter. "I have some time before the lecture starts. Why don't you bark at me now? I'll listen." Dal Po gets all riled up but notices In Ha looking at them. He swallows his words and walks away. Yoo Rae turns up in her YGN jacket so that she can diss Manager Sung as a representative of YGN. She apologises to In Ha since In Ha is Manager Sung's daughter, but In Ha tells her to give it her best shot and she'll be looking forward to it. Jae Myung notices that he's getting tailed and gets the Ahjusshi to help him out. Bum Joo learns from Joo Ho that Jae Myung isn't just targetting Manager Sung but also In Ha. 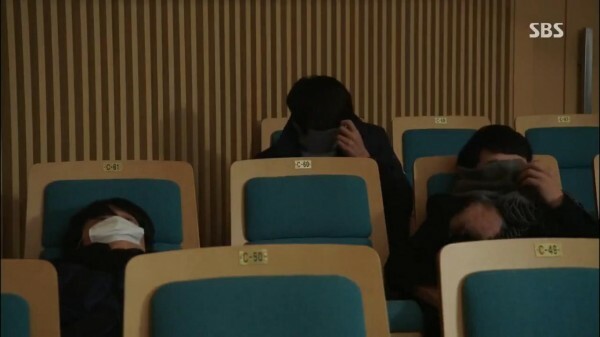 In a hilarious turn of events, Hyun Kyu discovers Manager Jo at the lecture. And they discover Director Lee. The MSC crew walks in at this moment and all the YGN members hide their faces hurriedly. Hahaha this is what happens when you rant and then regret it. Manager Sung enters and delivers her lecture on Facts and Impact. Unknown to Bum Joo and Joo Ho, the one driving the truck now is the Ahjusshi and that Jae Myung is sitting right inside the lecture hall, so they continue tailing the truck to Busan. During the lecture, Manager Sung mentions how facts must be added with the seasoning of impact in order to take its place at the top. Of course, you cannot distort the facts or that will not be news. Her lecture delivery is really good and she's so animated and lively on the stage that I find it a bit disconcerting. Yoo Rae has been making snide comments but remains quiet when it is the question and answer time. Her fellow YGN reporter encourages her to ask some abrasive questions instead of being a coward, so she takes the mic. Manger Sung makes a joke about how she hopes that her question will be impactful. Somehow, I really like the script because it's very natural. This sentence is something inconsequential but it sounds exactly like what a speaker at a lecture would say. Unfortunately, all Yoo Rae can ask is if it's true that Manager Sung's face is frozen like an Ice Queen because of side effects from Botox. Everyone laughs at this question and the YGN crew is disgusted HAHA. Manager Sung answers her question by giving her a wide smile, and proceeds to shoot her down, "That's the kind of question that has no relevance to facts or impact. It was a great example of that. Thank you." Manager Sung asks if there is any other questions and someone picks up a camera to film her. She comments that it seems like she has less questions than the college lecture she did last year. She happens to look at Dal Po and continues, "But I guess it's easy to criticise when you don't know what it means to be a reporter, but once you are aware, it's difficult to recklessly argue and start barking, isn't it?" In Ha turns around to look at Dal Po, and Dal Po quickly swallows his rage. She cannot take it anymore so she stands up for a question, "You strive to make your news impactful, but have you ever ignored the facts?" Everyone is a bit confused at where this is going and Manager Sung replies with a forced smile that she hasn't. In Ha smiles and sits down, but she starts hiccuping. She happily stands up again and tells her mother that as far as she's aware, Manager Sung has definitely ignored the facts in the past. they were forced to make an extreme decision of ending their lives. It was an example of how terrifying it can be when the news is only impactful and not fact based." 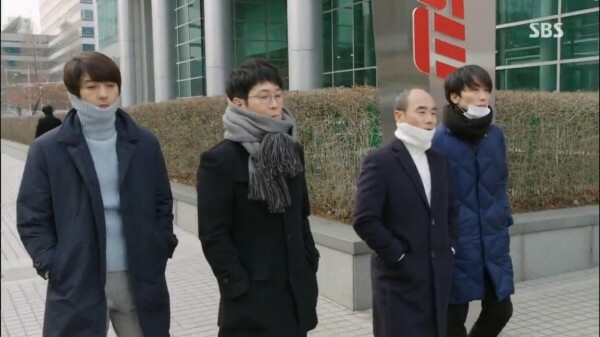 Manager Sung tries to salvage the situation by saying that it's not her fault alone and that in reality, the problem stemmed from the statement that the Pinocchio made. In Ha is reminded of what she has said during the YGN debate and she turns around to look at Dal Po with angry tears in her eyes. "Someone once said that people just assume Pinocchios will always speak only the truth." they should've known how much more terrifying the weight of their words are than others. Not knowing that is your wrongdoing. That carelessness destroyed a family! So you definitely have a share of responsibility in this tragedy. Seeing as how you're still emphasising on making an impact even after that incident, you're still the same trash tabloid writer that you were 13 years ago." WOOHOO. Manager Sung remains speechless in her anger, and Yoo Rae breaks the awkward silence by cheering. 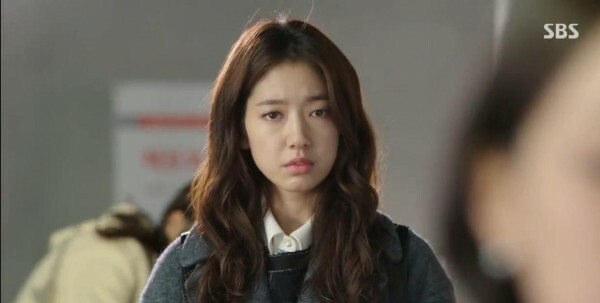 Later on, In Ha worries that she will get fired and asks if YGN will accept her after that. Dal Po smiles and shakes her head. She makes an irritated noise, "You are so cold." He asks her why she did it, "Even I hold myself back," and In Ha replies that it's precisely because he was holding himself back that she knew she'd start hiccuping if she let it go. He asks her if she's worried about her mother and she tries to escape but he traps her. You know, in that classic arms on the wall kind of scenario. I love this scene as well because it turns a very classic move into one that is filled with concern and worry, as he asks her if she's okay. In Ha knows that she cannot lie, so she admits that she's worried about her mother, "but telling you that will make you worry about me and I hate the thought of that even more. I don't want you to worry about me and I want you to argue with my mum all you want." Dal Po nods and she smiles. One of the managers asks Manager Sung if she's okay and in a nice closure to the entire throwback session, she asked chillingly, "Is that question directed towards me right now?" The colleague backs out of the room quickly and she throws her script onto the floor in anger. The four YGN crew walk out of the building, wondering where they have heard the words before. Hyun Kyu obviously doesn't understand what's going on since he wasn't at the interviews. Cap reminds the other two that they are words which Dal Po has said to In Ha during the interviews. The other two ask why she's turning those words to Manager Sung, and Cap comments, "It has gotten to the ears of the right person." And I can't emphasise even more how much I love the throwback scene and this comment. As what Cap says, "Those words got passed around and finally found their way to the right person." 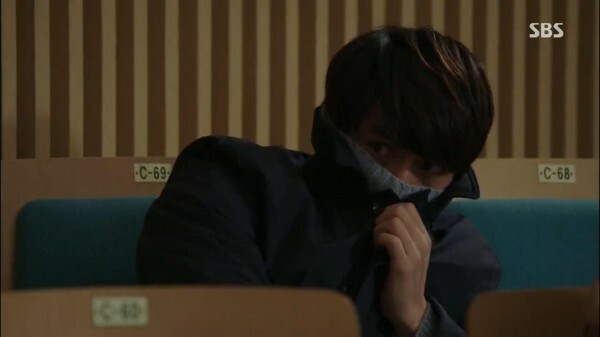 No one answers Hyun Kyu's questions and he puts his fringe up again, thinking that they don't recognise him. Bum Joo realises that they have been tagging the wrong person the whole time and quickly calls Dal Po. Manager Sung walks across the corridor as Jae Myung watches from below. 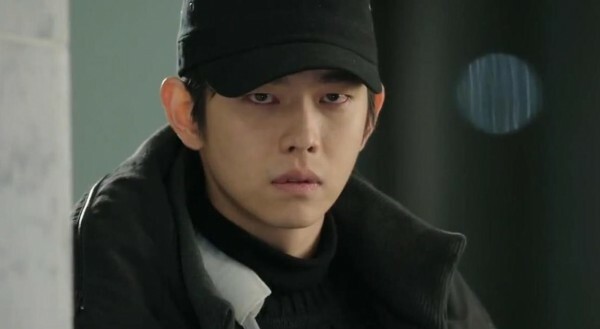 Dal Po rushes into the first floor of YGN building and squints his eyes at the lifts. He realises that it's In Ha in one and Jae Myung in another. 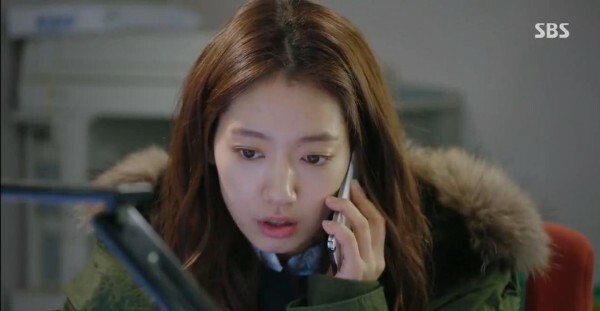 In Ha unknowingly gets off at her floor and receives a call from Dal Po. 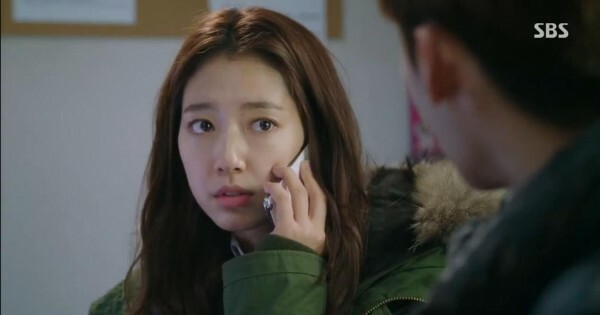 As she picks up the call, Jae Myung covers her mouth from behind and drags her to a dark corner. Dal Po rushes up the stairs and keeps calling her name, while Jae Myung pushes In Ha against the wall and asks her how she knew about the fireworks and market. In Ha shakes her head and says that she can't tell him. Jae Myung gets all agitated and shouts at her, "Tell me, who did you hear from!" Dal Po rushes in from the side and pushes Jae Myung off In Ha. He quickly checks on In Ha, who starts screaming as Jae Myung rushes towards them again. 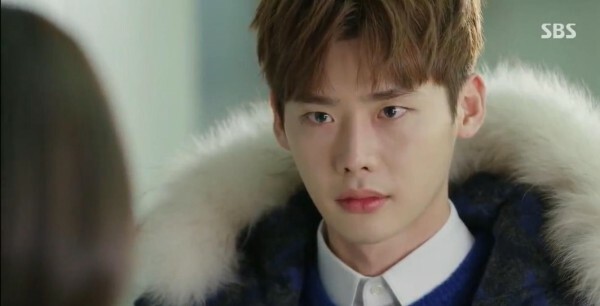 In a struggle, Jae Myung pushes Dal Po and Dal Po pleads, "Hyung, please." Jae Myung reminds him not to call him that and Dal Po finally tells the truth, "It's me, Hyung. I'm Ha Myung." "I'm your brother, Ki Ha Myung." I've only started on this series recently but I've been loving every single episode of it and this episode tops it off. It has kept me engaged the entire time and I love how this drama isn't really following the classic scenes/moves/premises as other dramas do. There are the funny twists where Bum Joo's mum doesn't care about In Ha's background and just wants her son to be happy. There's also the whole idea of truth threading behind the entire drama. There's no misunderstandings or lies that hold the drama together and thats satisfying because those kind of dramas depend heavily on good reveals to give them a satisying ending. 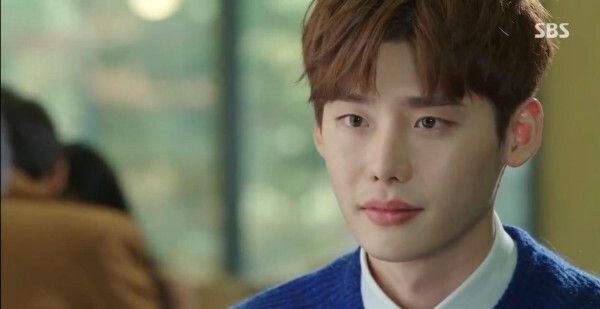 For this drama, each reveal is done in a fulfilling manner and I love the fall-outs – from Dal Po discovering way early on that the girl he's living with is the daughter of the woman he hates, to In Ha discovering Dal Po's true identity, to Jae Myung discovering his brother's identity. Each reveal is done in its good time, and I don't feel like the drama's entire success depends on the reveals, if you know what I mean.